Spring is finally here! Well, almost. And that means it's time for the National Cherry Blossom Festival, which kicks off tonight with the Pink Tie Party fundraiser. It's just one of many events coming to D.C. along with those beautiful pink and white flowers. Pink Inside and Out: Pink Tie Party fundraiser at the Ronald Reagan Building and International Trade Center from 7 p.m. to 11 p.m. Celebrate the blossoms in style and watch as the Ronald Reagan Building turns pink during the City in Bloom lighting. Tickets are still available for $200 per person. Info here. Step into spring photo-op with free blossom decals at Metro Center. City in Bloom: Iconic buildings light and project blossoms at nightfall, including the Capital One Bank building at 1st and H streets, the Newseum, Wilson Building and Ronald Reagan Washington National Airport. Metro stations, taxis, pedicabs, Capital Bikeshare’s fleet, plus stores at Tysons Corner Center will feature bright pink blossom decals. National Cherry Blossom Festival opening ceremony at Warner Theatre from 5 p.m. to 6:30 p.m. Step Into Spring Fitness Programming at the Jefferson Memorial, including 10 a.m. cardio kickboxing and 11 a.m. world beat dance classes with Crunch Fitness. Family Days at the National Building Museum from 10 .m. to 4 p.m. Families enjoy free hands-on activities and dynamic performances. Family Days presented with the National Building Museum from 11 a.m. to 4 p.m. Families enjoy free hands-on activities and dynamic performances. Cherry Picks Restaurant Program: More than 90 local restaurants serve spring-inspired dishes and drinks. View the full list here. Big Bus Tours: Official bus tour of the 2014 National Cherry Blossom Festival. Book online for 25 percent savings using code NCBF14. Petal Pass: Pick up a free Petal Pass exclusively at Capital One Bank branches. Enjoy springtime savings at participating retailers, restaurants, area attractions and more. Community Art Show: Enjoy original artwork by hundreds of local public and charter school students at Pepco Edison Place Gallery in Northwest D.C. Gallery hours are Tuesday through Friday, noon to 4 p.m. 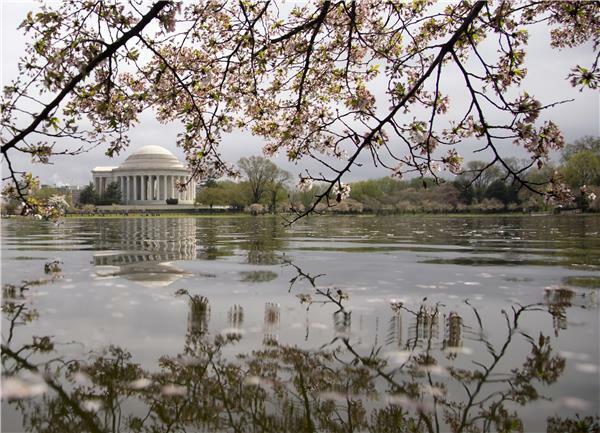 The National Cherry Blossom Festival runs March 20 through April 13.